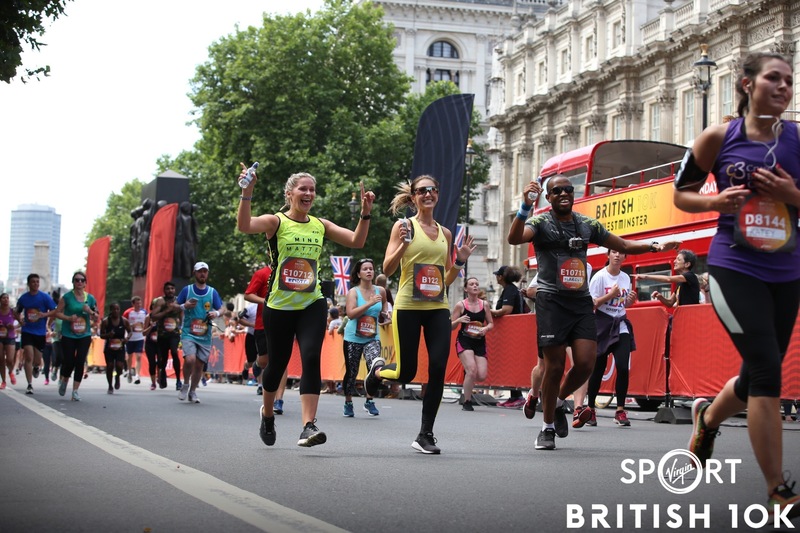 The inaugural Virgin Sport British 10k was the second Virgin Sport event of 2017, following Hackney (30 April), before further events this year in Oxford (8th October) and San Francisco (13-15 October). A highlight for me was meeting Virgin Sport CEO Mary Wittenberg, whose energy and enthusiasm for running came across in conversation with her. Also she was there at the finish line to congratulate all the finishers including the very last runner Gillian who is 85. What stood out to me was the inclusivity of this event, if you wanted to race it, the course and facilities allowed you to do so. Whereas if you were going to walk/jog you would be supported by the BackPackers crew who lead from the back. All whilst being supported by the crowd or entertained by the different music bands. Although PRs and training hard is important. 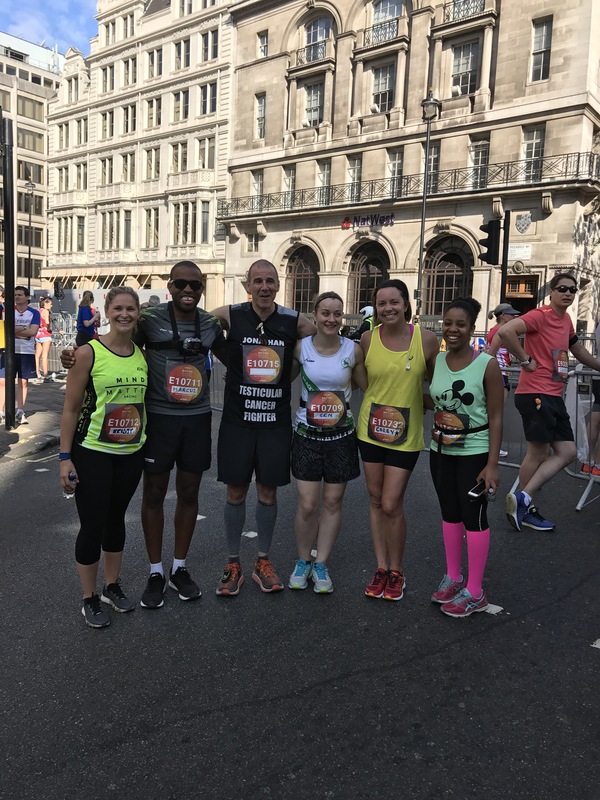 Equally as important is running for fun and having a good chat which I achieved by running with such an amazing group, brought together after hosting a competition where I asked what one lesson which you’ve learnt in running do you apply to life. The answer that stuck out was by Jonathan Barr who underwent three months of aggressive Chemotherapy for Testicular Cancer in 2015, although he is Cancer Clear the side effects of the Chemotherapy impact him each day. His answer to the question was to never give up. Whilst some may say it, he had actually lived these words. 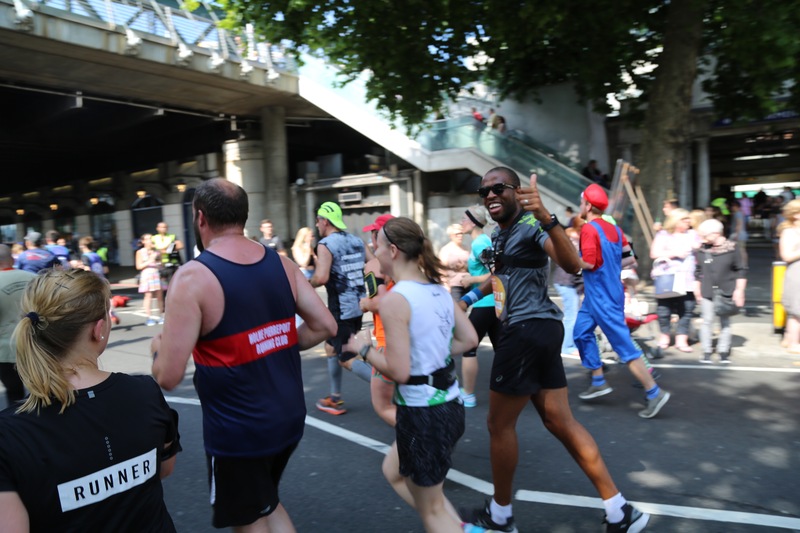 Although I know that there was discomfort during the run, he never complained, he had a look of focus throughout and was cracking lots of jokes. Furthermore it was great to meet his family, his wife Lauren and their three children who ran this race the first time as a family. Additionally I also ran with it with a group of inspiring friends, Confidence, Erin, Eugenia and Kristy. Thank you all for making this race such a good laugh from the start to the finish and making this one of my favourite race experiences. The course took you through many iconic sites in Westminster. From the Embankment and past the likes of Big Ben, Regent Street, Trafalgar Square and Westminster Abbey etc. In terms of facilities, there was plenty of water and water spray cooling areas allowing for a warm day. Finished off with a a quality medal and other goodies. Another great selling point that Virgin Sport do so well is include the race photos in the entry price. I’ve been in races hosted by different companies where the entry is low and then post race, the photo cost is too high. When you tally it all together I’d say the Virgin Sports events are cheaper overall and better value for money than many other events I’ve taken part in. So would I run it again. Without a doubt yes! I’ll definitely be there next year if you want to join me, you can register your interest here. The next event is the Virgin Sport Oxford Half on 8 October 2017. You can sign up here. I’m gutted I can’t run this race as it’s the same day as the Chicago marathon. 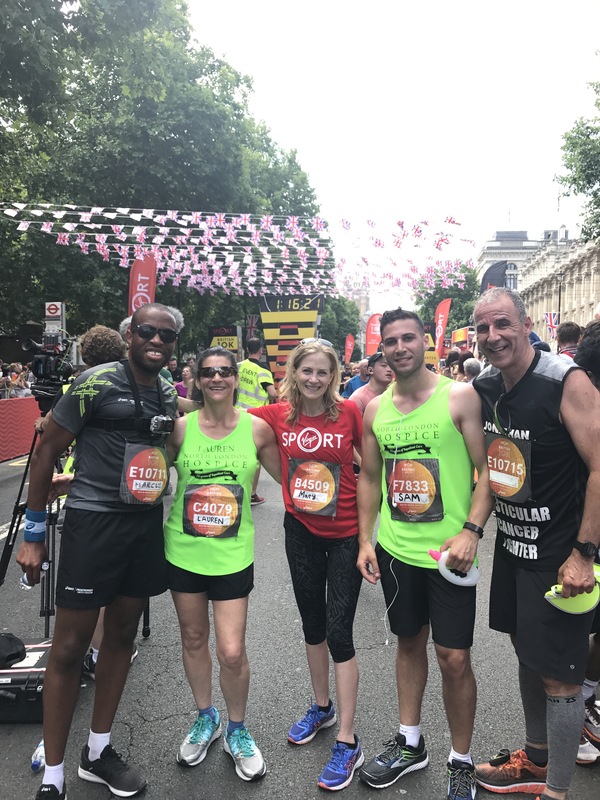 From my experience of the two races this year I’ve found that Virgin Sport prides itself on encouraging participation at all levels, which it achieves. I look forward to seeing what new races they add to the programme. Marcus your video account of the day really sums it all up. 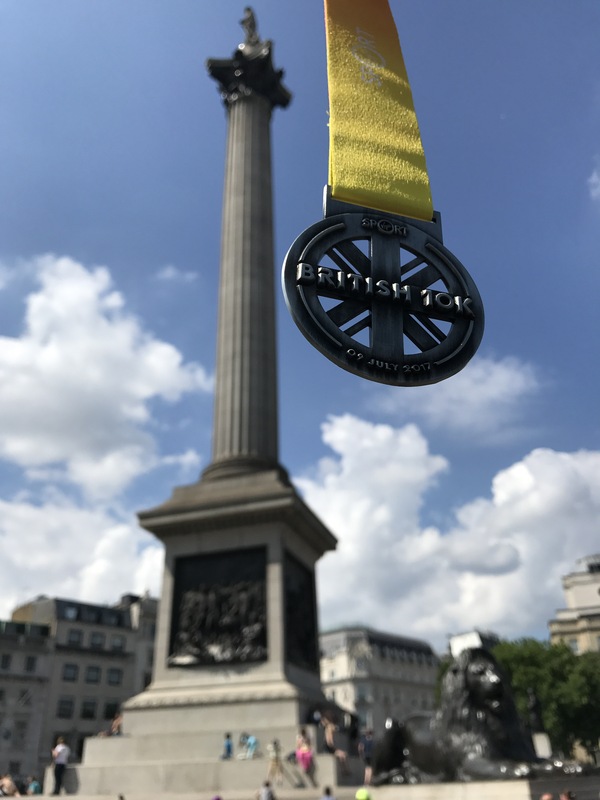 A fantastic day, fantastic route and most importantly meeting and running with lovely people – and you brought it all together- T H A N K Y O U ! Thanks mate, I appreciate that and agree with those sentiments!